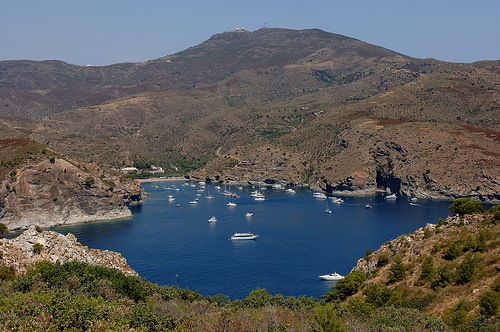 Those who have visited other coves belonging to the Natural Park of Cap de Creus, have noticed that most of them are not fine sand beaches, but pebble ones. 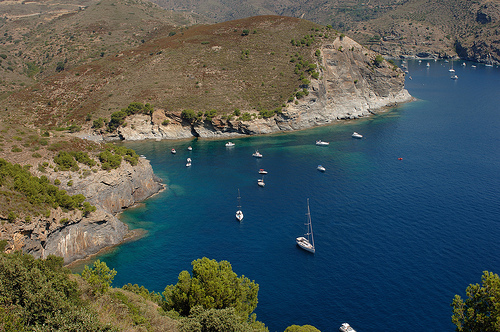 Cala Jóncols is no exception: the unspoilt natural beauty is so important that no visitor in the area should miss it. About 200 meters long and 50 meters wide, just north of Cap Norfeu, Cala Jóncols is the perfect spot for lovers of quiet and unspoiled beaches, like the one we enjoyed when visiting Cala Vallpresona, in Tossa de Mar. 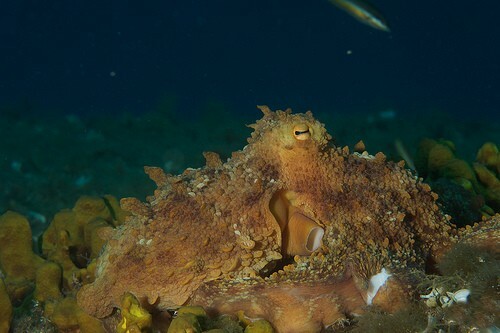 Its bedrock is a treasure for lovers of diving or simply snorkeling. 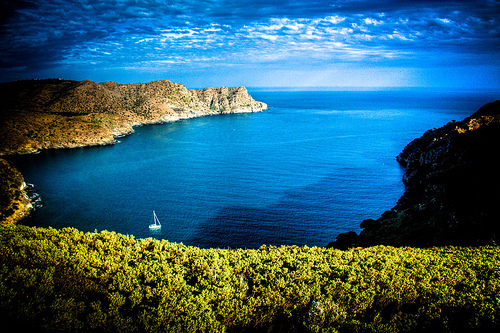 Cala Jóncols, the last cove in the north belonging to Roses village, is rarely visited, being ideal for those looking for lonely coves off the crowded ones. Much of the blame for this small isolation comes from the access, not especially easy. 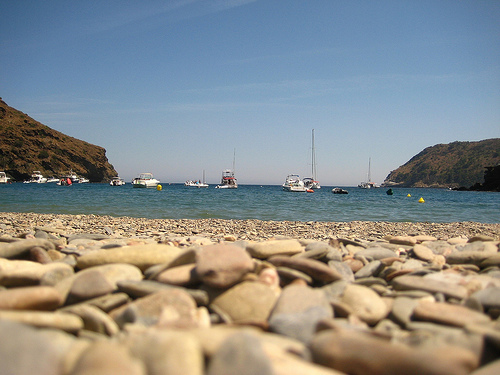 You’ll arrive to Cala Jóncols from Cala Montjoi through a not paved road. Given the excellent conditions for scuba diving in Cala Jóncols you’ll find a diving center, which organizes daily trips in high season. Another feature of the landscape of this cove is the centenary old fisherman’s hut that once served as a refuge when the weather discouraged sailing through the area. This kind of huts are being preserved by the authorities, as a expression of the social history in this place. By the same way vehicles arrive to Cala Jóncols from Cala Montjoi (Carrer de la Roca), it’s possible to do it walking (1h 30′). For those who are in Roses and prefer not to drive, it is interesting to know that there is a Roses Express, a kind of tourist train made of wheels, from the center village, that arrives to these creeks in the area of Cap de Creus (Montjoi, Jóncols). Despite his quiet and relatively low affluence, the creek has services such as showers or toilets. Since 2009 it has also the European environmental certificate EMAS and the international ISO 14001 one, so quality is guaranteed.